A thin, confusingly plotted and frankly rather dull episode is only emphasised by the terrible picture and sound quality (on the old box set I’m watching this series on, anyway). And it’s a Venus Smith episode, which means a song from the chanteuse, but not until after the opening credits. Before they roll, we watch as a magician in the night club does the disappearing lady trick. Glamorous assistant enters magic box covered in spangles. Magician utters the magic words. Glamorous assistant exits magic box covered in spangles and blood – dead. We cut to a seemingly unrelated story, set in the house of a senior military gent (Maurice Hedley) in a wheelchair, overseen by his well meaning daughter (Jane Barrett), who is keen on any quack remedy (including a mysterious box said to deliver healing vibes) to restore dear papa to full health. Hence the presence of Steed, posing as a masseur, who is soon chirruping away about his work on the local Nato base, where he has come into the possession of a number of secrets. Will anyone take the bait? 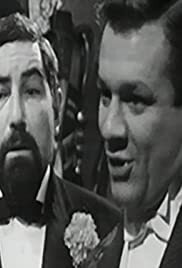 Meanwhile, back at the club, the magician (Ian Weston) seems to have lost another assistant, and rather than the police stepping in, Steed arrives to co-opt Smith into posing as assistant number three. To what end, we have no idea, but actor Julie Stevens is at least given a few lines to express how nervous she feels about the latest assignment . These two stories – the wheelchair-using general and the nightclub magician – seem to have no overlap and even as we enter the home straight it’s unclear how they relate to each other. The result is an episode that is a struggle to remain interested in. This has to be the fault of writers Edward Rhodes and Peter Ling (Ling went on to be a moving force behind the long-running UK TV soap Crossroads), though it’s got to be someone higher up the production pecking order who decided that this disengaging episode would really benefit from two songs from the much more gamine, 1960s-ish Venus Smith – this seems to be one more than is strictly necessary and slows things down almost to a standstill. Cathy Gale does not feature, though was apparently involved in earlier drafts of the script – possibly as the masseuse working up at the general’s house? This would make sense since Smith and Steed have previous and he is her control. Either way, a bit of Gale’s judo could only have been a plus. 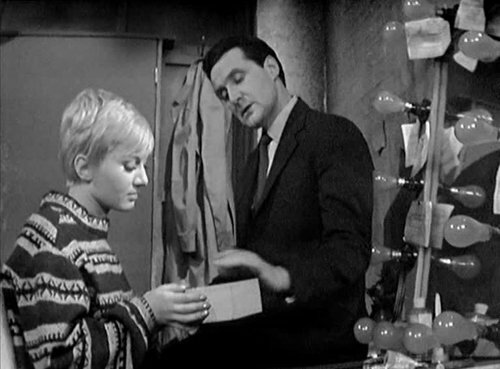 Steed traces stolen classified documents to a nightclub where Venus Smith is working as a magician's assistant.